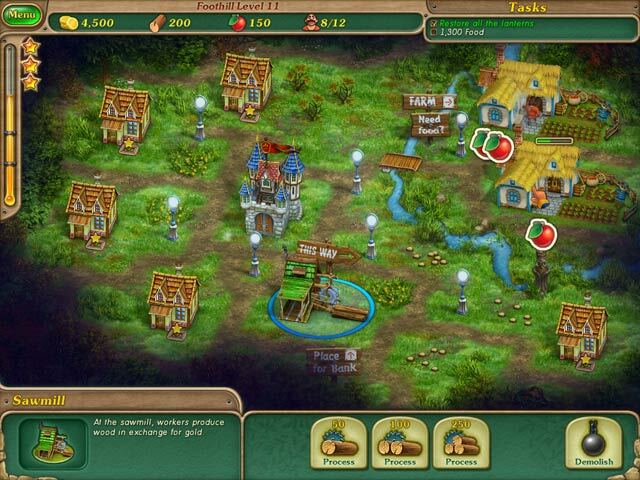 The King turns once more to you, his trusted city planner, to save the faraway land of Middleshire in Royal Envoy 2! . Explore ancient caves and forgotten mines, meet mystical nymphs and leprechauns, engage in snowball fights in the frigid arctic, and rescue the people of Middleshire from the fires of a terrible volcano. 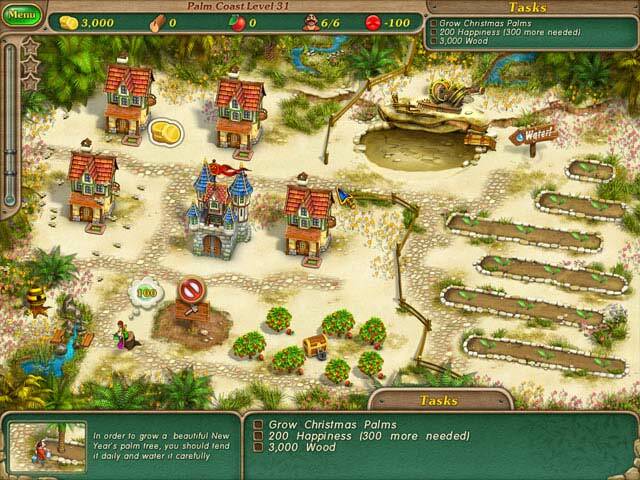 With you as their guide, the people will build a veritable paradise -- while you win prizes for your speed and quick wit in this incredible Time Management game! 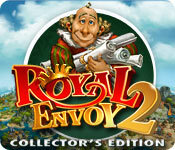 Royal Envoy 2 Collector's Edition is rated 4.4 out of 5 by 147. Rated 5 out of 5 by amyste513 from Charming TM game! Really enjoyable, great pace. The characters were fun, and the levels were just the right type of challenging. One of my favorite features was the ? button, that took you straight to a walk through-this is a feature more games should have!. Some of the levels were great strategy puzzles, just all around good play. Rated 5 out of 5 by carminuta from very good I really enjoyed. Even now I play sometimes. Rated 5 out of 5 by CheekyAfia from Royal Envoy 2 I thought it was really fun and very challenging also good for any age group. Rated 5 out of 5 by greg28boi from Excellent Series! This game is even better than the first one! Ok - so they got rid of the tax collectors but added multiple new characters and gave you two complete games in the CE version ( when you complete the game with three stars - you can play expert mode). This is a game that has entertained me for hours on end and leaves me wanting more! Thanks! Rated 5 out of 5 by propagator from Fun Game One of my favorite games, challenging and fun. The game is also a decent length, especially with the expert mode. I have played it through a few times. Rated 5 out of 5 by muddy303 from love it my favorite game, can't wait for another one! 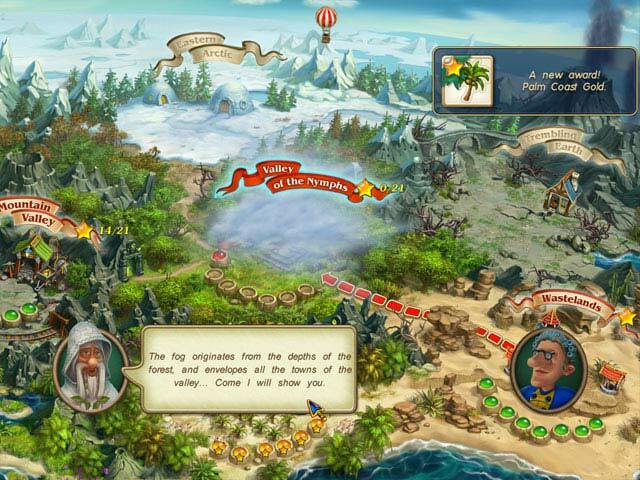 Rated 5 out of 5 by crc32 from Royal Envoy 2 Excellent game, great new challenges. I could play this game for hours. Rated 5 out of 5 by aussiekids from The second Time Management game you must own The first being Royal Envoy Collectors Edition of course! This series is a great investment of your game dollars/credits because of its replayability. Don't hesitate to buy this game & it's predecessor!